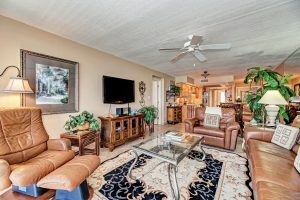 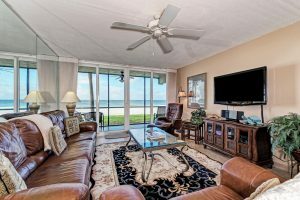 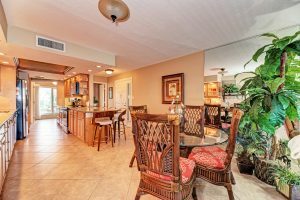 One of the most rarely available properties on LBK, this Portobello gulf side condo has full gulf & beach views, 2b/2ba/den split layout, inside utility & 2 lanais! 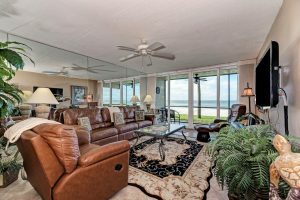 With truly unobstructed Gulf of Mexico, sunset & ocean views from the master, living room, guest bedroom & private guest bedroom lanai, this is a gem! 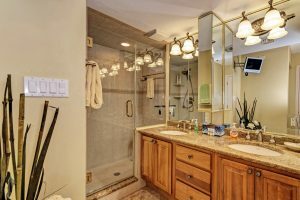 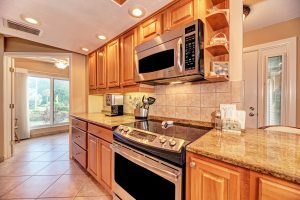 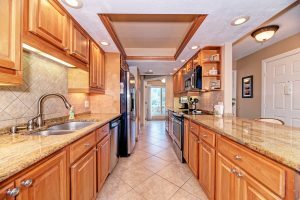 Thoughtfully upgraded in 2006 w/both a beautifully appointed and functional open eat-in kitchen featuring tile backsplash, granite countertops, stainless appliances, recessed lighting & built-in cabinetry. 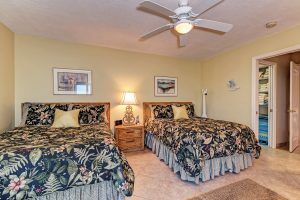 The den includes a built in murphy bed & sitting area w/privacy door and could easily be used as a 3rd bed! 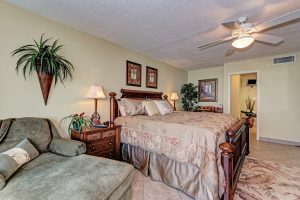 Oversized master bedroom w/upgraded master bath glass doors & lighting as well as built in closet storage. 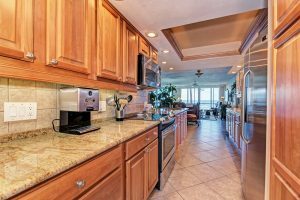 Tile throughout, including on both lanais. 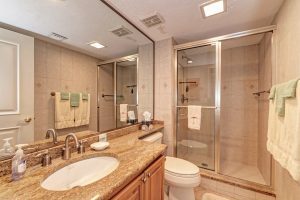 2nd bed is totally private w/slider to close off the 2nd bath and closet area. 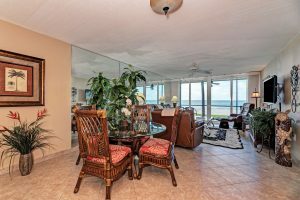 Being sold fully furnished w/quality pieces. 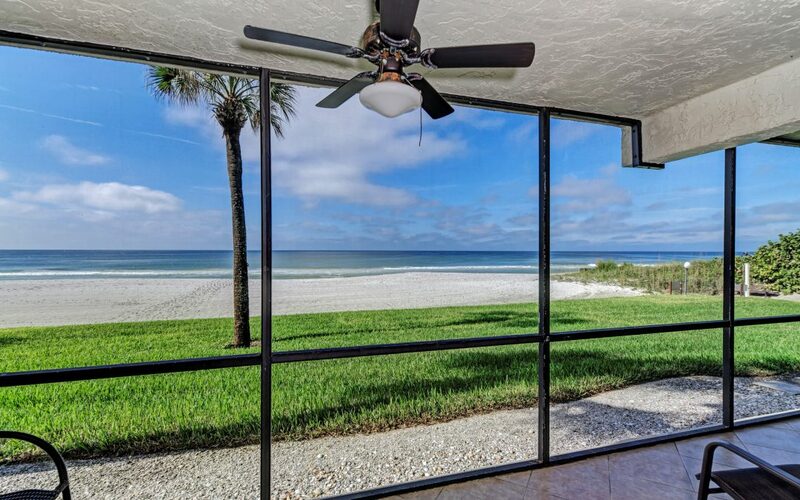 Newer hurricane-grade sliding glass doors and windows. 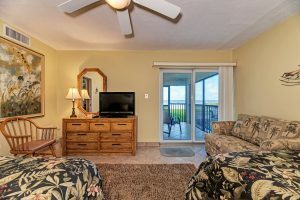 Walk out to the beach from either lanai. 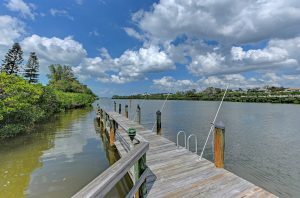 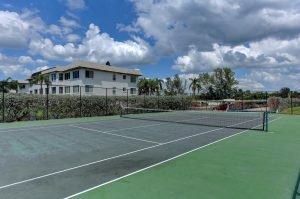 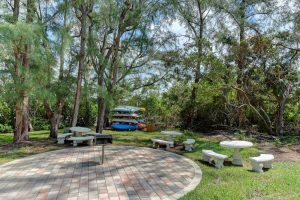 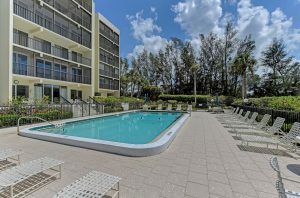 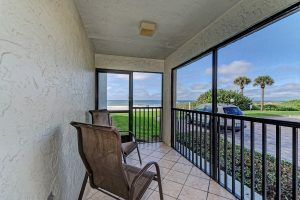 Occupants can appreciate the bay side amenities you won’t want to miss including: on-site management, clubhouse w/catering kitchen, tennis, heated swimming pool & day dockage on the fishing pier. 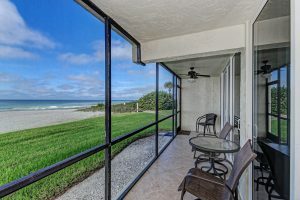 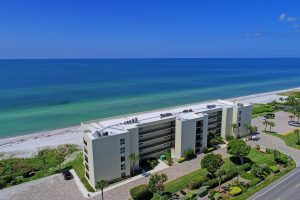 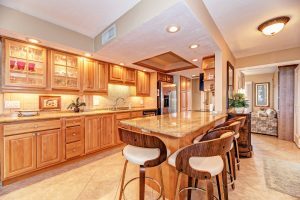 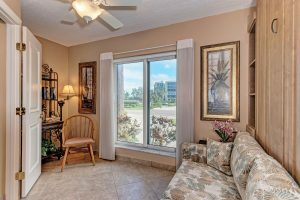 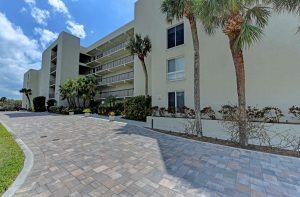 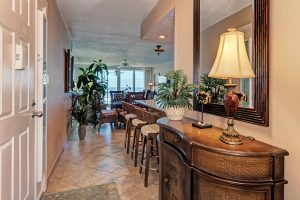 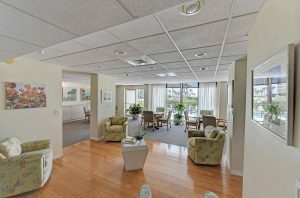 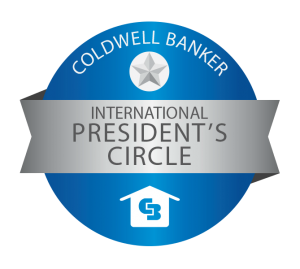 Centrally located within minutes from Publix grocery, the renowned Longboat Key Club, where members enjoy championship golfing greens and many first-rate amenities. 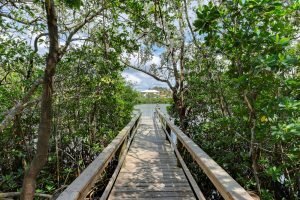 Take a short drive inland to experience fine dining and shopping at St. Armands Circle & the culturally-rich lifestyle of downtown Sarasota. 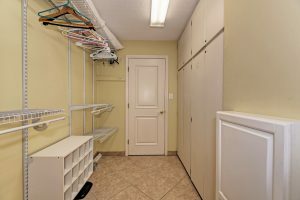 Storage unit included.